I‘m not entirely comfortable being the market leader in VR by such a margin that seems to be happening right now. With such a brand new category you want a variety of platforms all doing well to create that rising tide and create the audience. This statement was released after market analyst firm International Data Corporation (IDC) published their latest report for Q2 2017 on the Virtual Reality (VR) and Augmented Reality (AR) market. According to IDC, the worldwide VR/AR market grew 25.5% YoY. Growth in the VR market has been rather sluggish compared to other recently introduced technologies as the amount of investment and, more importantly, the need for end user education is extremely high for VR. Though the recent price cuts across all major platforms will help alleviate one of the barriers to adoption, providing consumers the opportunity to learn about products and try before they buy is still a significant hurdle faced by most companies. It should be noted that IDC data actually puts Samsung with the biggest market share, but it’s likely that Sony is claiming to be the market leader since they don’t consider themselves to be directly competing with the Gear VR. These were the overall company highlights from IDC. Samsung‘s dominance continued as the launch of the Galaxy S8/8+ helped drive shipments of the Gear VR, although the company did experience a significant year-over-year decline. The recent addition of a controller has improved the user experience and helped to drive a slightly higher average selling price (ASP). However, early signs suggest the company may not bundle its new Note-specific Gear VR with shipments of the upcoming Galaxy Note 8. Bundling has helped drive Samsung’s success to date and this means Note 8 consumers will need to actively seek and purchase the latest Gear VR. That could slow Samsung’s progress in this market. Demand for Sony‘s PSVR remained unmatched amongst the top tier of tethered headsets. The launch of Farpoint along with the VR aim controller combined with some sustained demand for Resident Evil 7 boded well for Sony. Outside of gaming, Sony is also working on bringing other experiences to the VR platform by partnering with Hollywood creators. Despite its success, Sony still announced a modest price cut for the PSVR that should help drive sustained growth through the end of the year. Facebook reduced the price of the Oculus from $599 to $499 during the quarter, which helped drive demand that saw it leapfrog rival HTC in terms of ranking. Facebook was the first among the major tethered players to cut prices and the company’s continued willingness to adjust prices and alter its retail strategy is clearly paying off. TCL landed in the number four spot with its Alcatel VR headset. 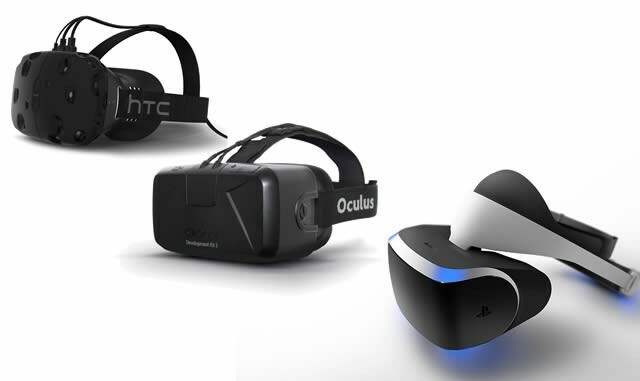 The company has increased the number of models with which the VR headset comes bundled, which means it continues to move significant volumes. A relatively weak platform and content ecosystem cast doubt on TCL’s long-term prospects in the VR market, but there is no denying the company has done a good job of putting headsets into customers’ hands.